Tony Lossano, etc. : ORANGE you hungry for some fun eats? ORANGE you hungry for some fun eats? My favorite place for brunch is ORANGE...Their Pancake Flight is always a real delight to have, although, I am always tempted to have thier Green Eggs & Ham or their Frushi...Wait, have you NOT heard of ORANGE? I blogged about ORANGE in 2007! Oh alright, in case you missed it, you can read the original blog here or continue reading and I'll tell you about it below. I went to ORANGE on Clark this past weekend. I ordered the Pancake Flight. 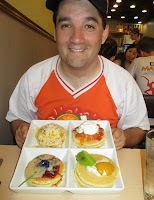 They are four stacks of tiny pancakes made four different outlandish ways...In fact, each week, the theme changes. I had their Summer theme, as seen in the photo. Honestly, these little guys are better than any other pancakes, flapjacks, or hotcakes that I have ever had anywhere else. 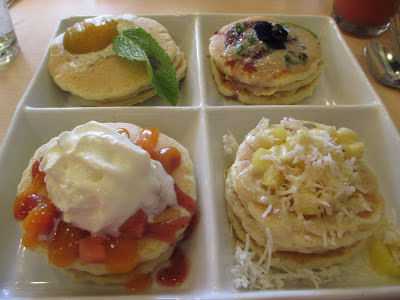 I thought that my favorite one would be their Tropical selection (Coconut buttermilk pancakes topped with guava anglaise, diced pineapples, and toasted coconut), but I was wrong as my favorite was their Refreshment stack (Pancakes topped with peppermint cream cheese, apricots in syrup, and fresh mint). 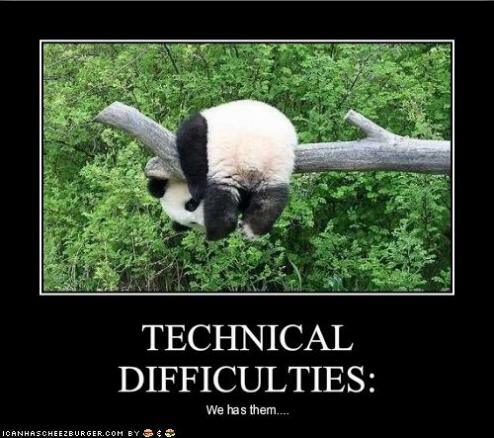 It just simply killed. The multi-located morning spot has made themselves popular with a light, natural approach…check out ORANGE! 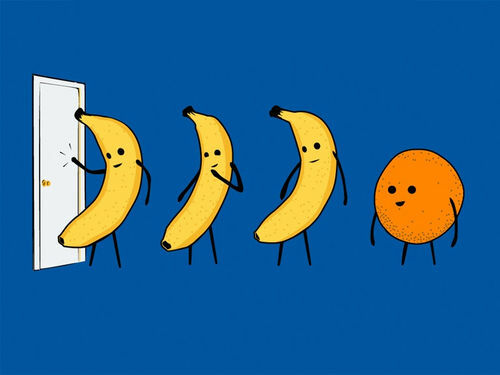 ORANGE you glad I didn't say banana?? ?